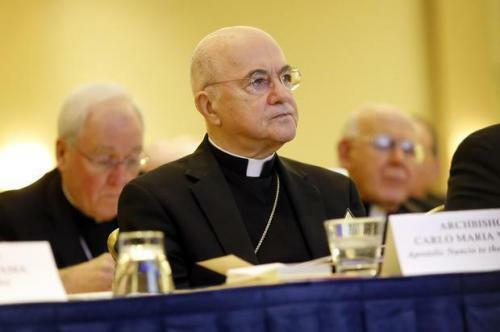 Archbishop Carlo Maria Vigano, former Apostolic Nuncio to United States. CBS News spoke by telephone to Viganò, who confirmed he wrote the statement and said he was speaking out now "to combat the grave situation in the church, to protect the church and also to stop future abuse." He told CBS News producer Anna Matranga that he had no agenda and was stating facts. Viganò writes that he told Francis about the allegations: "Holy Father, I don't know if you know Cardinal McCarrick, but if you ask the Congregation for Bishops there is a dossier this thick about him. He corrupted generations of seminarians and priests and Pope Benedict ordered him to withdraw to a life of prayer and penance." "Pope Francis has repeatedly asked for total transparency in the Church. He must honestly state when he first learned about the crimes committed by McCarrick, who abused his authority with seminarians and priests. In any case, the Pope learned about it from me on June 23, 2013 and continued to cover him." On Sunday, a top Vatican official attacked Viganò in an open letter, accusing him of mountingh a "political frame job devoid of real foundation," while refuting the accusations against Pope Francis point by point. 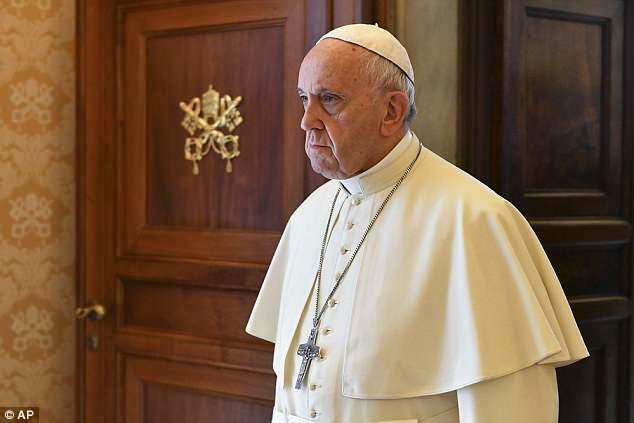 Francis, meanwhile, has refused to confirm or deny Viganò's accusations.